Today, I am featuring some of the products in the upcoming Country Lane Suite. 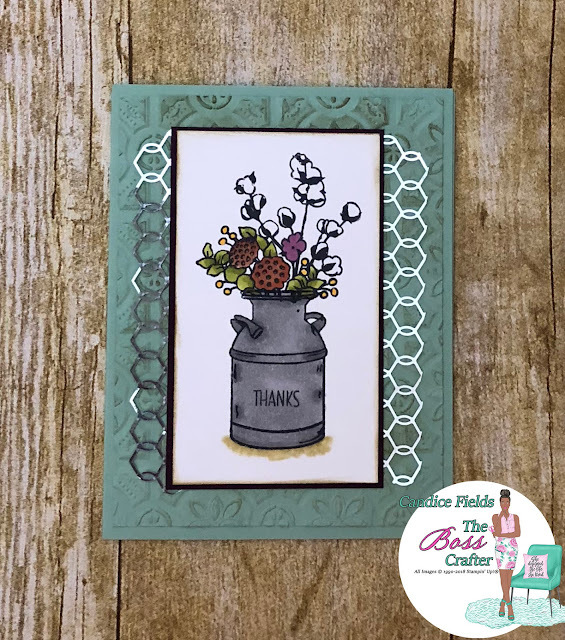 I used the new Tin Tile Dynamic Embossing Folder for the background. I sanded down the Mint Macron card stock after embossing and ink with Soft Suede to create an aged look. I love the new Chicken Wire Elements. You can cut into the strips to save on the elements. The image was colored using the Stampin' Blends ( Smokey Slate, Old Olive, Cajun Craze, Blackberry Bliss, Mango Melody).